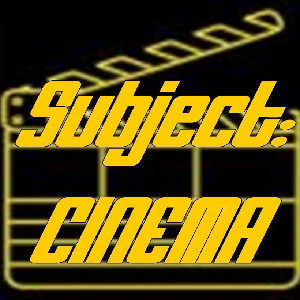 Subject:CINEMA App – NOW AVAILABLE!! YAY! Get your FREE app for Android RIGHT HERE! iOS and Amazon Apps coming soon! Filled with great contacts and access to ALL FOUR S:C shows – Subject:CINEMA, Front Row Five And Ten, Three Minute Weekend, and Tuesday Digidex! Over ONE HUNDRED TWENTY FIVE films are coming out this fall, and we’ve got the skinny on most of them, plus the ones that will hit from Telluride and Toronto! It’s our 2018 Oscar Bait special, – the Fall Movie Preview! SPECIAL NOTE: When listening to PNRNetworks shows on ANY platform, don’t forget to LIKE them, Tweet them, and use the notification bell on YouTube – it helps our listenerships grow!!! PLEASE BE SURE TO LEAVE COMMENTS TOO! Liked it? Take a second to support TC Kirkham on Patreon!